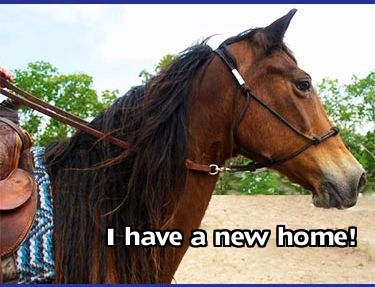 Dream Girl, a perfect horse for any child, and is quite the talkative affectionate lady. 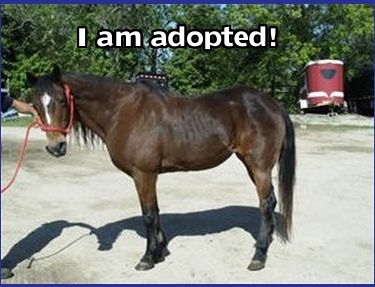 She is a on the more mature side but is still very healthy and loves being ridden, petted and groomed. Dream Girl quickly takes on a maternal safekeeper role in any herd. She loads on to a trailer, ties and halters well. She uses a hackamore rather than a bit, and is a wonderful ride. Dream Girl is looking for her forever home. Call us for more information: 866 434 5737 .All fees subject to change.